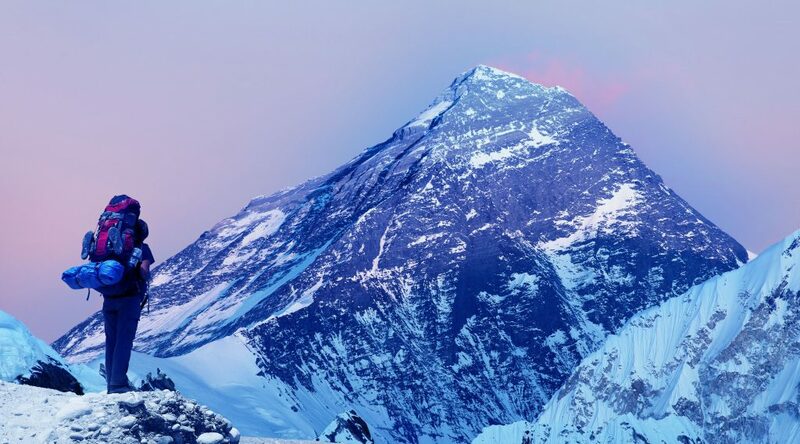 What does it take to climb to the top of Mount Everest? Mountaineering expertise, training, acclimation to altitude, a strong will, and the right equipment, for starters. But ask anyone who’s made it to the peak of the world’s tallest mountain, and they’ll tell you something else that helped make it possible: Sherpas. Living at the Nepalese base of the mountain they call Chmolungma, Sherpas have physical capabilities—ability to thrive at high altitudes, with superior stamina and strength—and mountaineering expertise that make them uniquely suited for guiding climbers to the mountain’s lofty summit. The journey of a startup can feel like an attempt to climb Mount Everest. Samsung Catalyst Fund was founded to act as a kind of Sherpa to entrepreneurs, helping innovative startups with world-improving technologies to reach the summit of their goals. It’s no coincidence that the term ‘scaling’ is used for climbing mountains as well as building successful startups. Entrepreneurs with big ideas need to achieve big scale. We can help Samsung Catalyst Fund portfolio companies accelerate innovation by leveraging Samsung’s know-how to solve technical problems, in addition to providing access to Samsung’s global resources and connections. The Samsung platform is like the Everest of technology platforms. For startups with ideas that promise to make the world a better place, why not leverage one of the biggest and most extensive? The Samsung Catalyst Fund reports to the President and Chief Strategy Officer (CSO) of Samsung Electronics, Young Sohn, who is responsible for creating new business for Samsung through investments and mergers and acquisitions (M&A). Samsung Catalyst Fund is a strategic investment tool that enables Samsung to work directly with the best and brightest startups from around the world. In this capacity, we’re plugged into the technology that will emerge in the next five to 10 years, from within Samsung and from the world at large. Because we’re part of Samsung Electronics, we can create bridges between startups and Samsung. At the same time, Samsung Catalyst Fund has a charter to make independent investment decisions and assume fiduciary responsibility to our portfolio companies. We always navigate based on how portfolio companies can best leverage Samsung’s resources to achieve their own goals. Through our multi-stage investment strategy, Samsung Catalyst Fund helps startups amplify their synergy with Samsung as they accelerate their own innovation. Co-prosperity is a Samsung core value. It means that we aspire to become socially and environmentally responsible corporate citizens worldwide. How does the principle of co-prosperity take shape at Samsung Catalyst Fund? We view investment success as a win-win-win for everyone involved: for us and our portfolio companies, of course. But also for our investment partners, the customers and employees of the startup companies in which we invest, and the broader global communities where we live, work, and play. Like all good guides, we derive our satisfaction from the accomplishments of those we steer to achieve their goals. We’re happy to ascribe all the success to our portfolio companies, as when one of our early investments, Ring, was purchased by Amazon for more than $1 billion. Like climbing a big mountain, bringing innovative technologies to market presents many challenges. Pioneering technologies, especially, need to be tried, tested, and perfected. For startups interested in harnessing and becoming part of the powerful Samsung ecosystem, Samsung Catalyst Fund can play a vital role as the Sherpa to entrepreneurial dreams. Together, we can usher technologies into existence that have the potential to make the world a better place. Are you interested in taking this journey with us? Learn more, then contact our team.